What’s that thing around Ethan hawke’s neck? The movie looks interesting… but every time I see Asa Butterfield with that ugly wisp of hair I feel like yelling at him to go cut it right away! The release date of 10,000 Saints is set to August 14, 2015. “Jude Keffy-Horn (Asa Butterfield) is a teenage boy who lives in Vermont with his adoptive mother, Harriet (Julianne Nicholson), and sister, Prudence (Nadia Alexander). Mixed up in the complicated world of drugs and alcohol, his best friend, Teddy (Avan Jogia), dies of a drug overdose on the last day of 1987 after Teddy, Jude and their new friend, Eliza (Hailee Steinfeld) from Manhattan spend the night out partying, leaving Jude devastated. Those flower garland are so ugly! 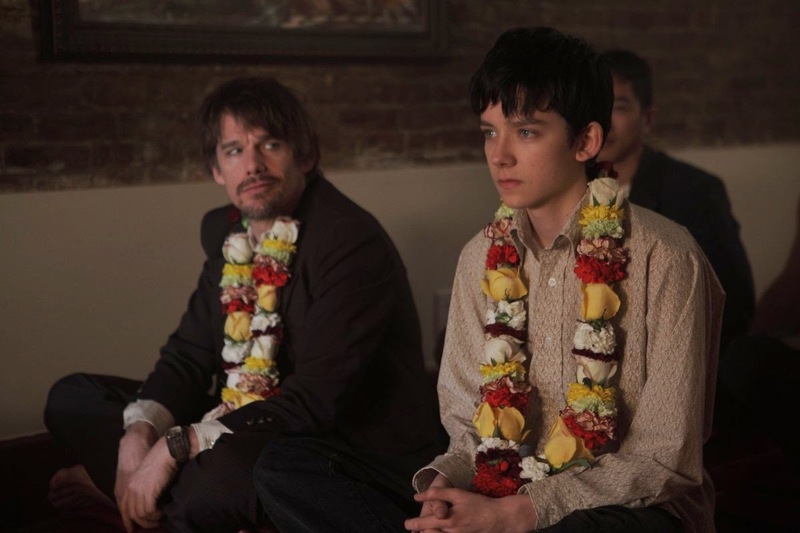 Besides Asa Butterfield, the cast also includes Ethan Hawke, Emily Mortimer, Julianne Nicholson, Hailee Steinfeld, and Emile Hirsch.